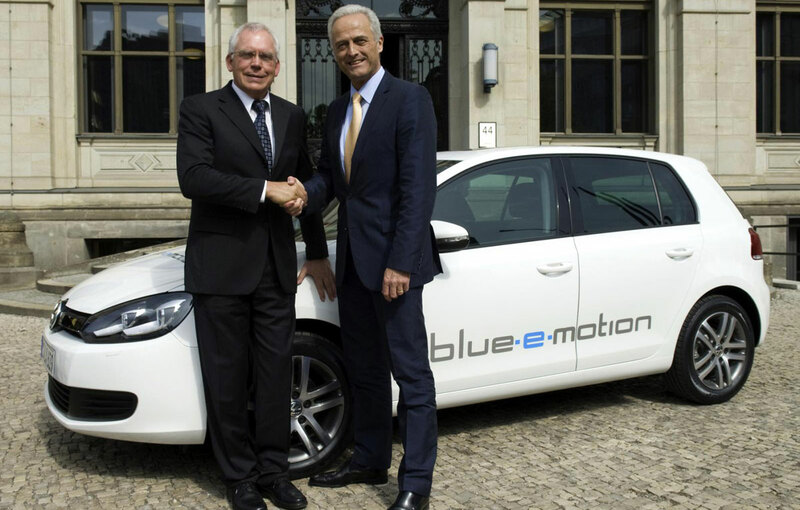 Volkswagen introduced the concept of the first electric Golf, named blue-e-motion. The model develops 115 hp and 270 Nm and have a top speed of 140 km/h, and the autonomy reaches 150 km. Volkswagen officials have presented the concept of the first electric VW Golf in a special ceremony in Germany. The model is equipped with a 115 hp electric motor powered by lithium-ion batteries. It offers 270 Nm of torque from the first rotation, while battery gives a range of 150 km. Top speed is limited to 140 km/h to preserve the autonomy of the model. As they announced last week, Volkswagen will produce the first electric series Golf in 2013. Until then, VW will produce 500 test prototypes that will divide them in various parts of Europe. By this test, those from Volkswagen want to learn more about how these vehicles will be used in daily life days. Once with the onset of blue-e-motion on the market, Volkswagen will create also an electric version of Jetta.